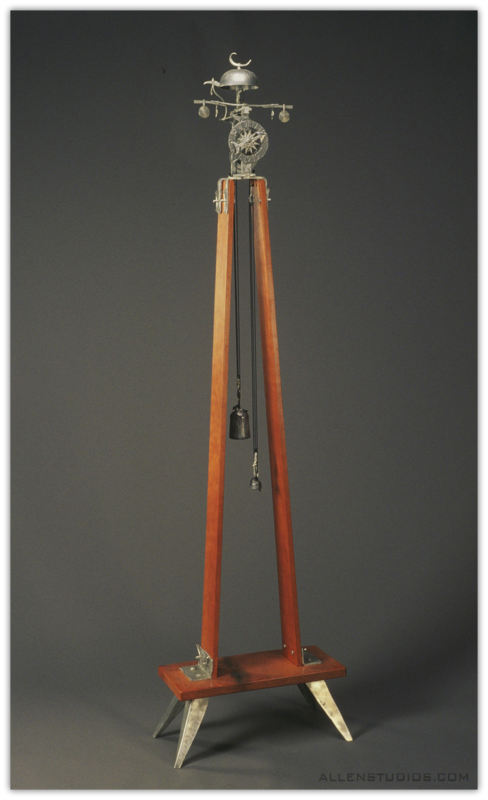 ARTIST'S COMMENTS: This clock was inspired by a foliot which was the time regulator for the first mechanical clock. It is put together entirely with pins, rivets, and wrapping. I sculpted and cast the gears, dial, bell, and legs, and fabricated and cold forged all the other elements. The bell strikes a sweet sound once each hour by a star wheel. © 2018 Allen Studios, unless otherwise noted. All rights reserved.